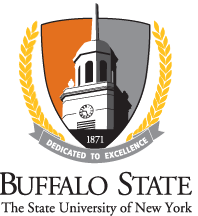 Out of respect for others and the environment, Buffalo State asks all members of our community to Live Our Best Life by making Buffalo State a tobacco-free campus. The links to the left will take you to information regarding our tobacco-free campus policy and programs and resources to help those who want to quit using tobacco products. This information is periodically updated. These resources are not just for those who use tobacco products. We encourage everyone to read the information provided. Learn and educate others regarding the policy, its purpose, and how you can Do Your Part to support Buffalo State as a Civil and Caring Academic Community.